Disclaimer: The below article represents only the author’s personal opinion, resulting from the personal experience with the products, not endorsed or supported by any manufacturer or commercial entity. It’s not the hard truth, the one and only, and your opinion might differ, which is perfectly fine. 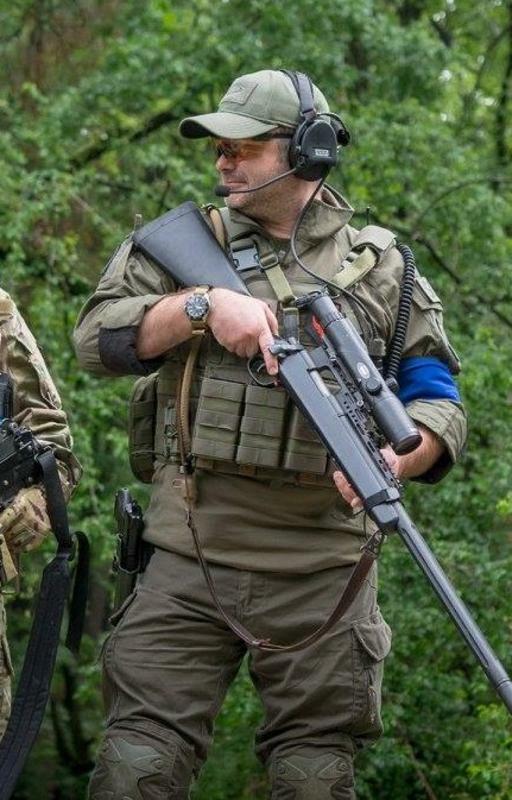 My experience with these pieces of equipment is limited to Airsoft use, and not military / LE use. 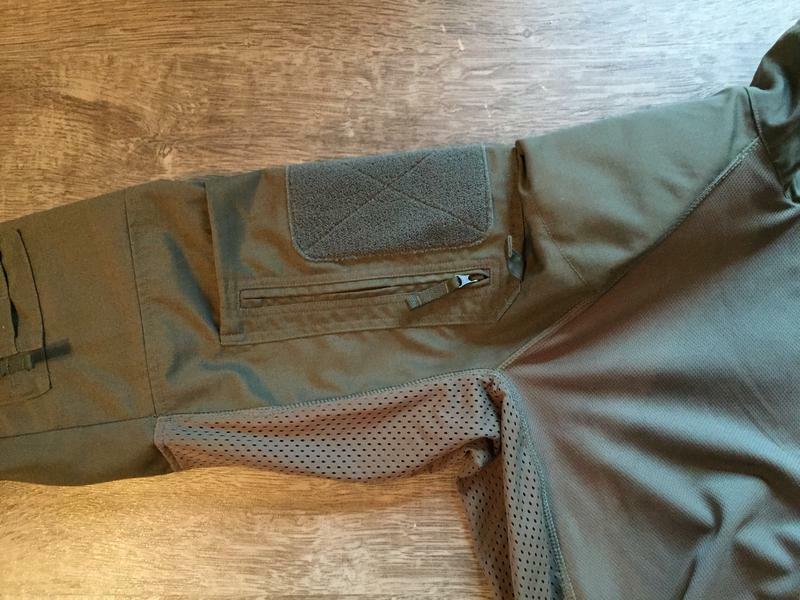 Crye Precision - Practically the inventors of the modern combat pants, they set the industry standard, most other producers oftenly derive their designs from Crye’s. Worn by military and LE agencies all over the world. Made in USA. 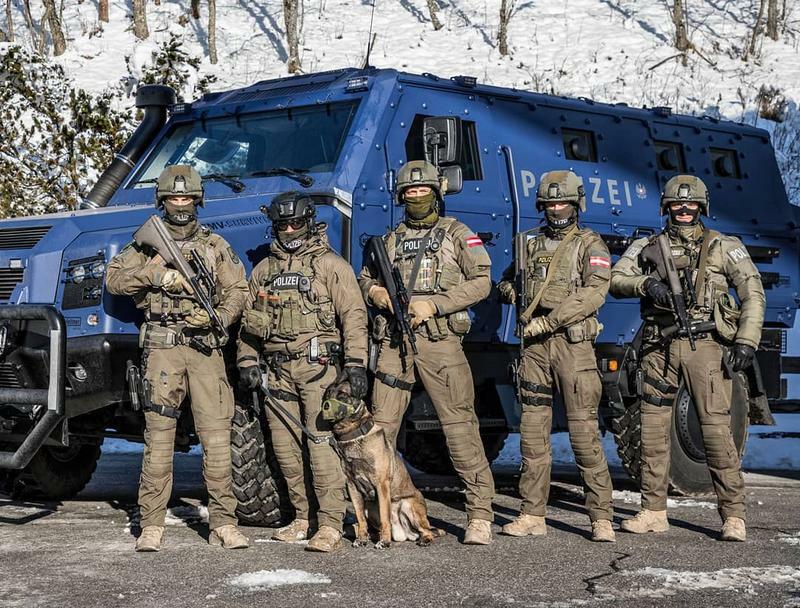 ClawGear - Austrian equipment manufacturers, until recently they claimed some Swiss affiliation as well, however that part disappeared entirely from their website. 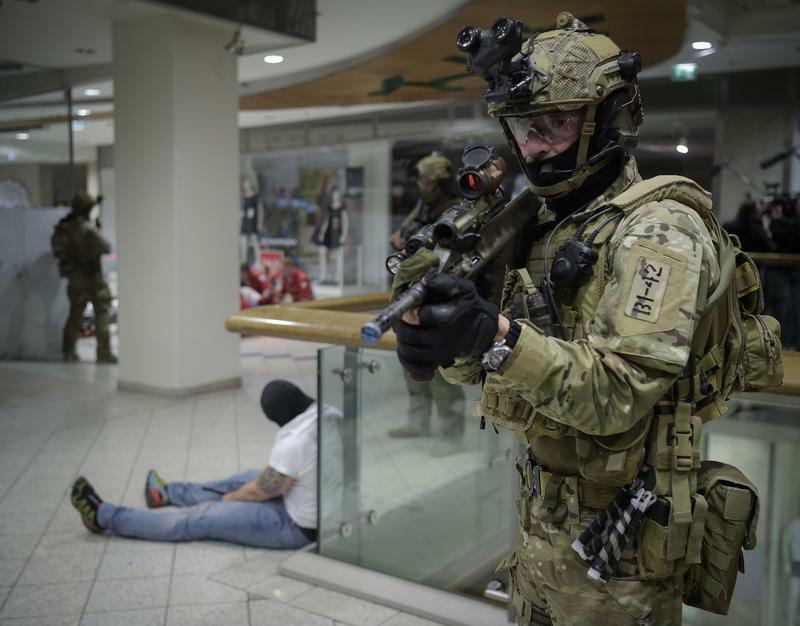 Seen to be worn occasionally by some central European armed and Special Forces (most notoriously by the Austrian JagdKommando). According to a statement from someone from ClawGear, their products are made in Romania and Pakistan. Platypus Outdoor - Australian manufacturer of military equipment under the Platatac brand. Supplier for the Australian Department of Defence. 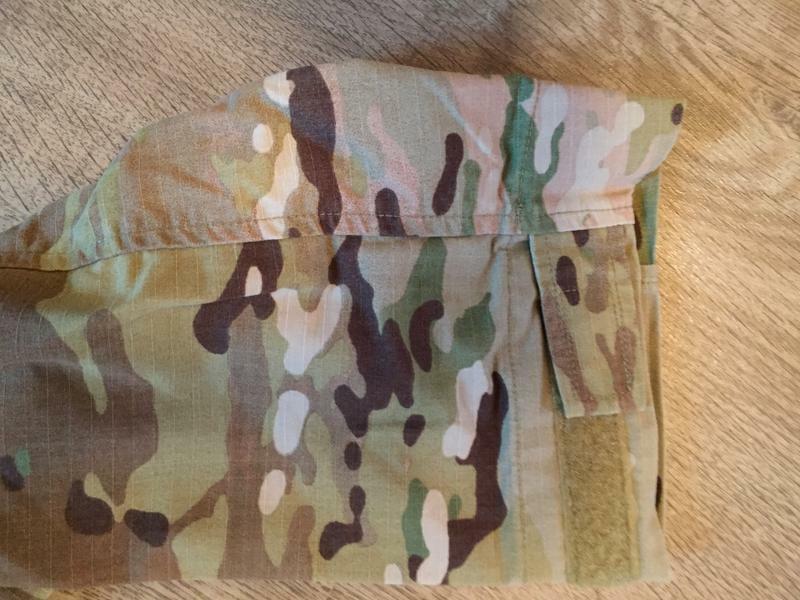 Seen to be worn by the Australian armed and Special Forces (SASR, 2 CDO, SOER), New Zealand SAS etc. Made in Australia. 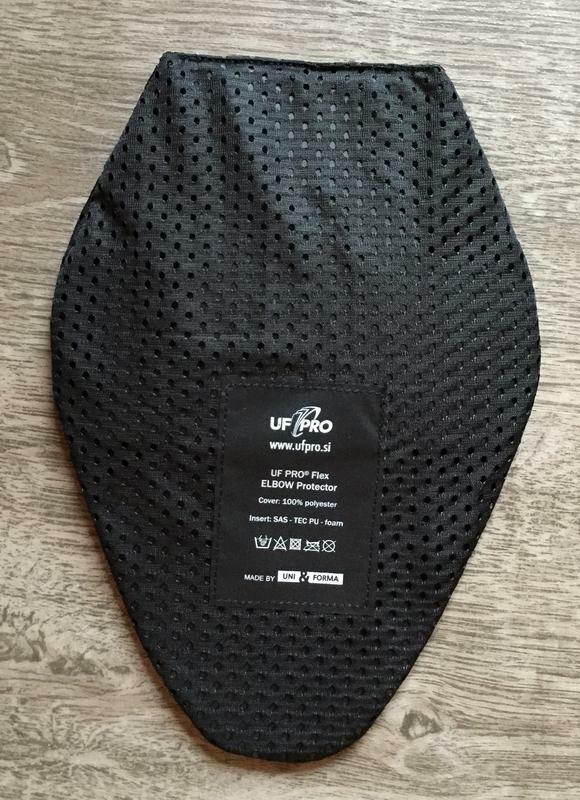 UF Pro - Slovenia based manufacturer, relatively new on the market. 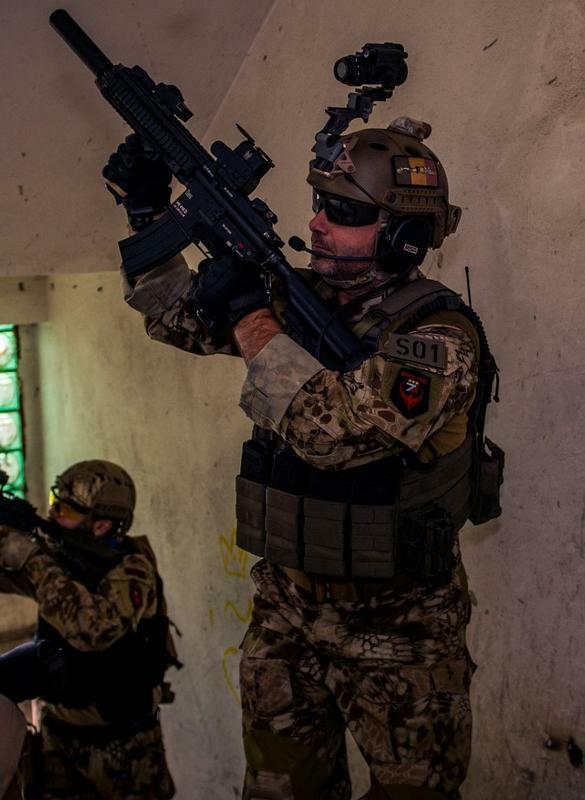 Seen to be worn especially by Law Enforcement Special Forces in Western and Central Europe (such as Spanish GEO, Austrian EKO Cobra or French DGSI). Probably made locally in Slovenia. 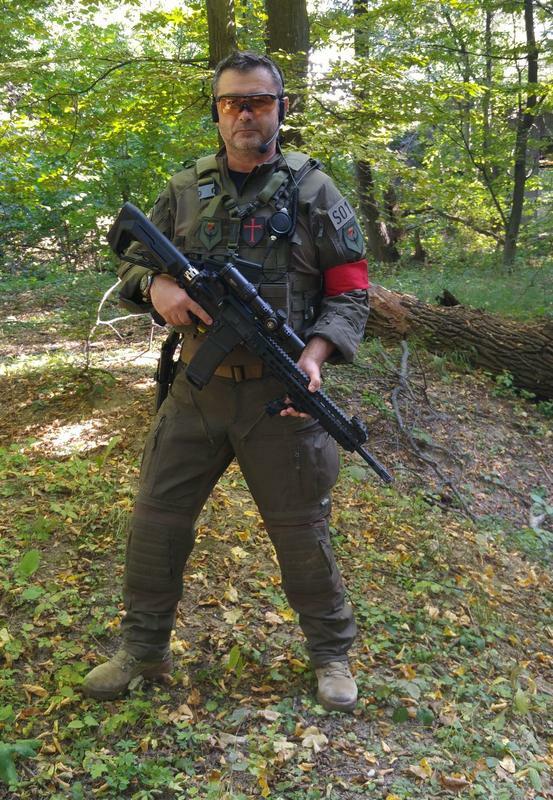 Austrian Einsatzkommando Cobra in UF Pro outfit. Most of the modern combat sets available today are clearly inspired by the original Crye design. This also holds true for the combat shirts in this review, so many comments will be made from a comparison with Crye perspective. 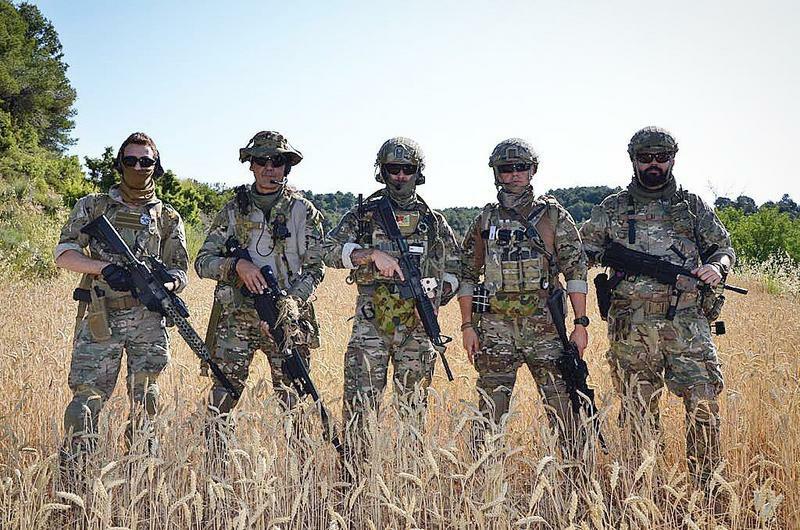 Crye G3: Until recently this was the latest evolution in the Crye line-up. The torso material is a very thin, breathable and lightweight material, a bit more loose and less stretchy than the previous iterations. It’s also using the driFire technology, which makes it fire resistant to a degree (the material will not melt when exposed to fire - this doesn’t make it the equivalent of a firefighter suit, so don’t be jumping through fire just yet ). 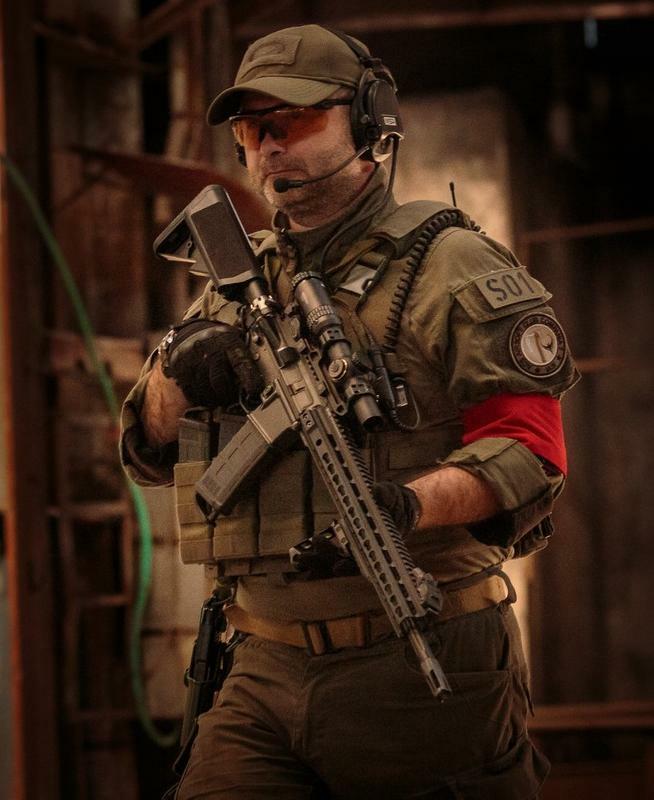 Instead of the now classical square Velcro tabs on the upper arms, G3 uses two vertical parallel tabs on the lower part of the biceps pocket. The aforementioned pocket is slanted for easier access, and the left arm one has the Gucci..ehhm.. Crye ribbon, essential for bragging rights. Crye AC: an earlier version compared to G3, very similar in most aspects. 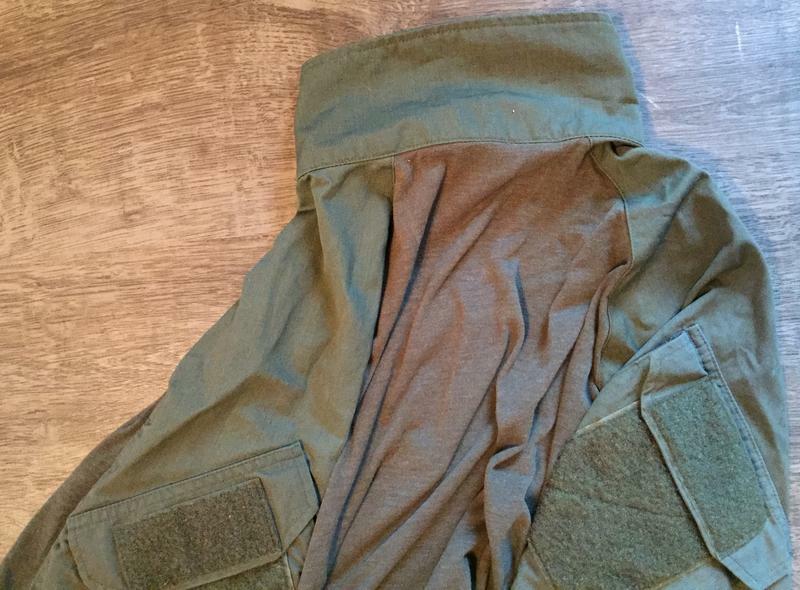 Same driFire lightweight torso material, biceps pockets feature the classic rectangular velcro tabs, with the Crye Precision tag on an attached rubber strip on the right arm pocket. The only significant difference is in the elbow protection department, but more on that later. 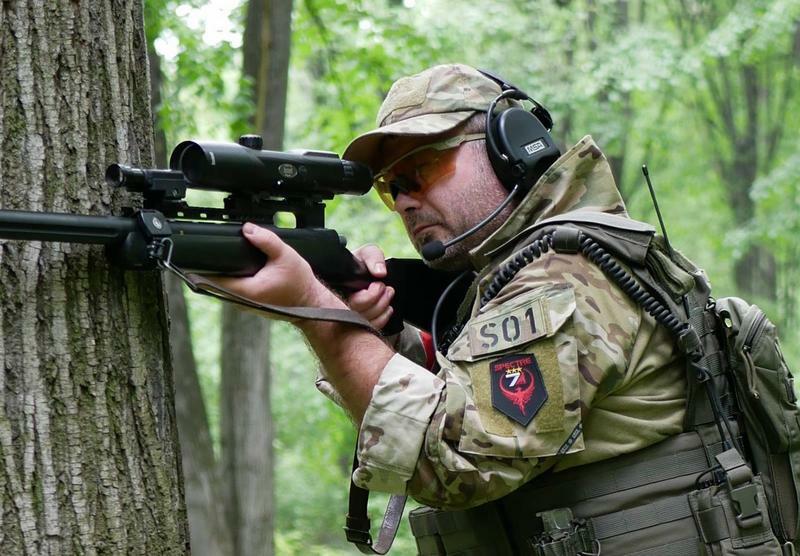 ClawGear MkIII: takes the Crye design and comes up with a few twists. 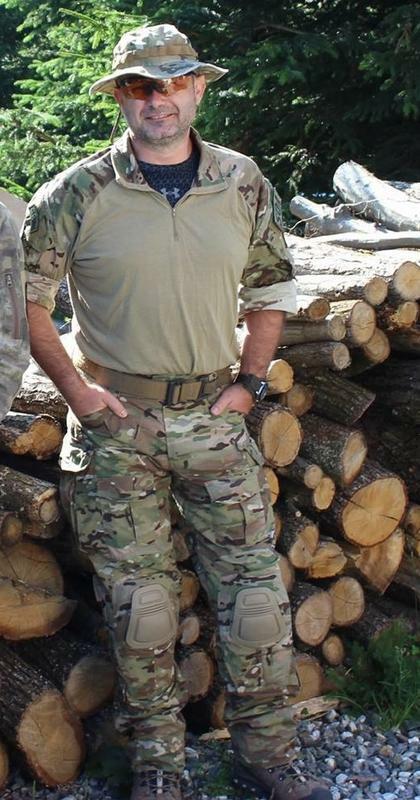 The torso is also t-shirt like material, also fire-retardant (although I don’t think it uses the same driFire technology), it’s a bit thicker than Crye though, and extra long to prevent it from slipping out of the pants. 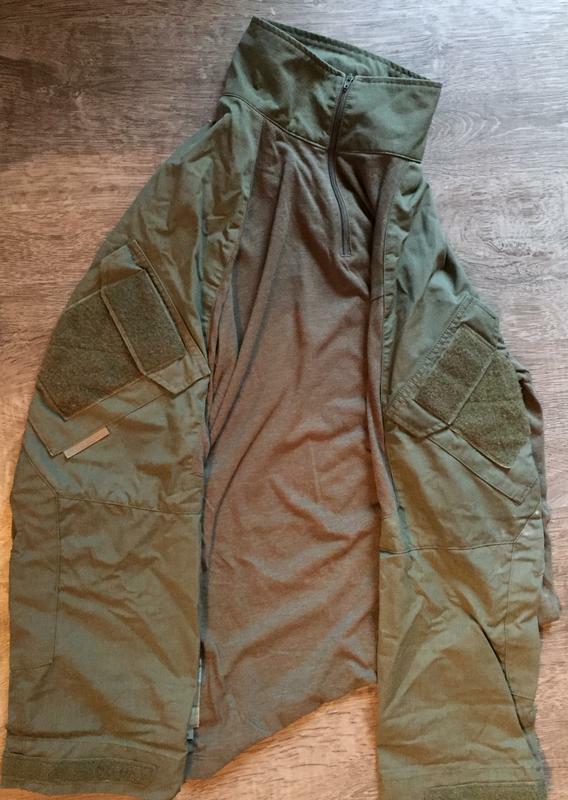 If you like to wear your combat shirt outside the pants, in this case don’t - you’ll be looking like a drag queen with an army fetish. The sleeves seem also extra long, due to the fact that they have a flap that can cover and protect the back of your hand (that can be folded up and secured with some velcro tabs and a band. 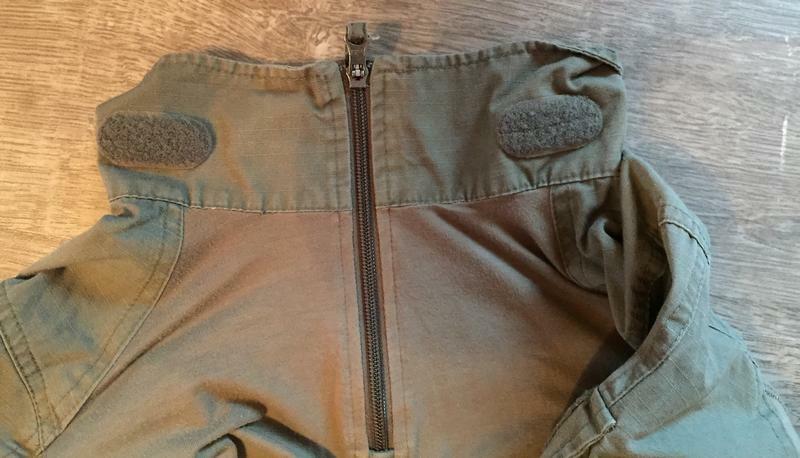 The collar area has also velcro tabs for attaching their proprietary breaching hood. 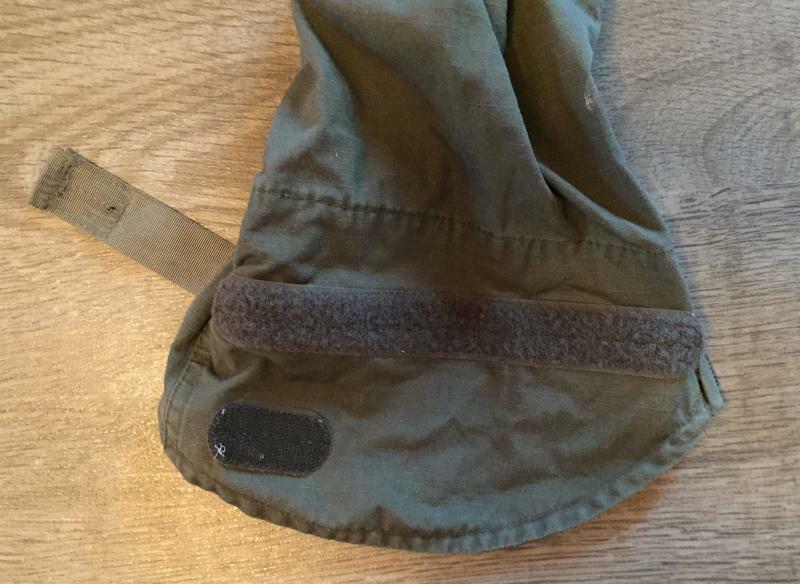 Large arm pockets also accessible from the side, with rectangular, big velcro pads. 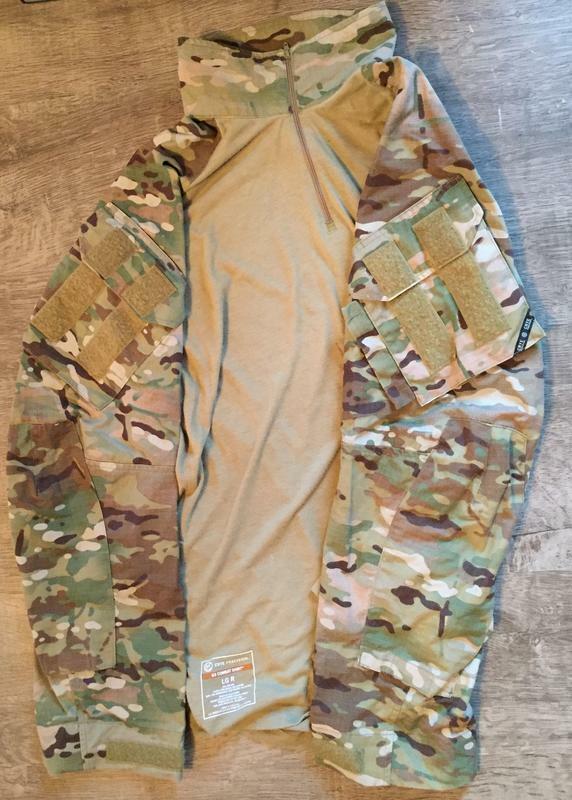 UF Pro Striker Gen2: Like the pants, UF Pro came up with significant changes in the combat shirt design. 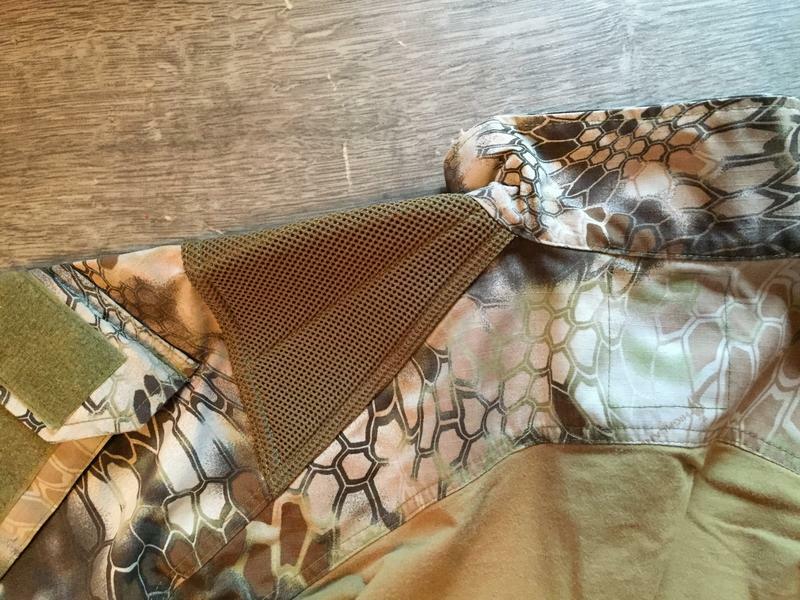 Torso material is made from a polyester knit which reminds me a bit of old basketball jerseys; it’s considerably thicker than Crye’s, and in fact the thickest of this bunch. The armpit area is made of a merino - polyester combo, reinforced outside with a mesh for increased breathability. 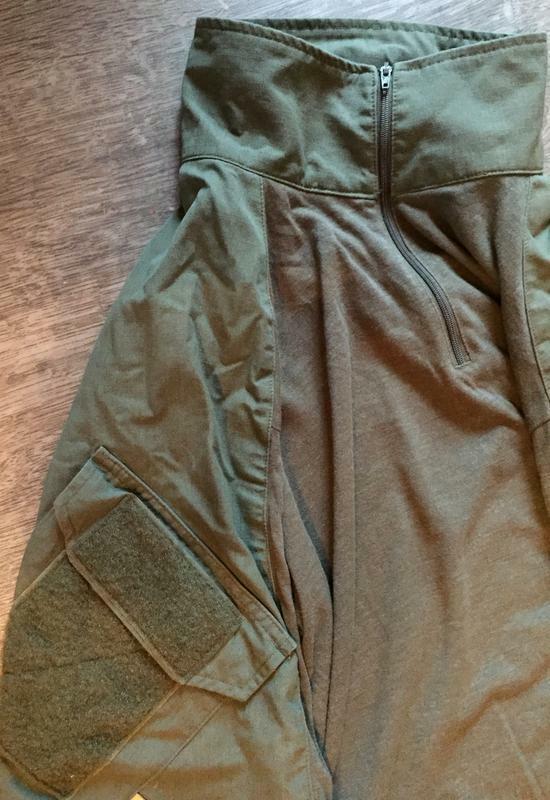 The arm pockets can be accessed from the side, and have a small tab on the upper side, to help with opening the zipper (by grabbing it with your teeth). 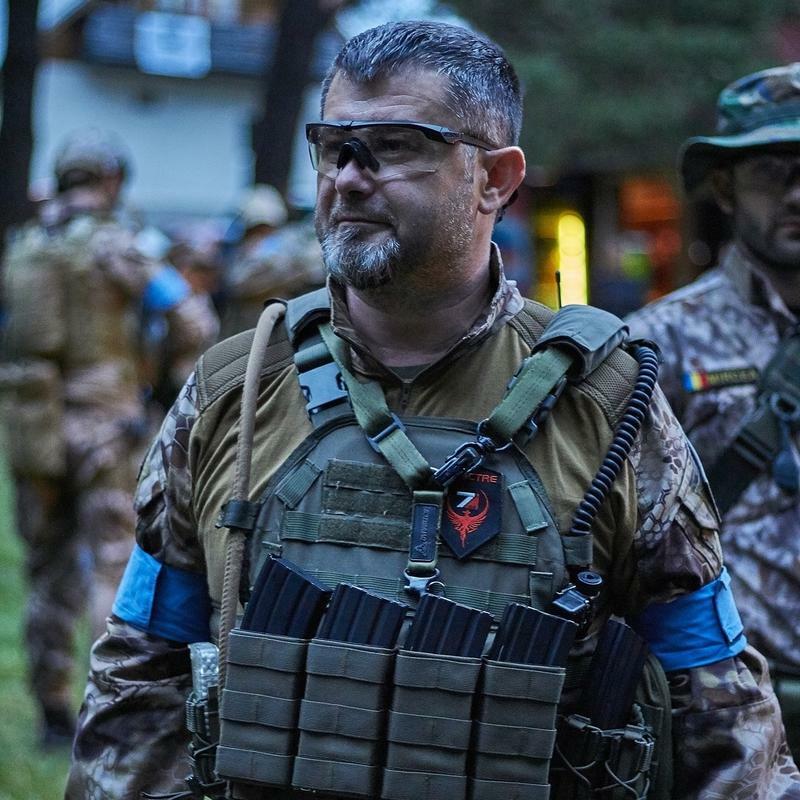 The shoulders have padding for increased comfort, and another very nice addition are the forearm pockets, which can be used for storing a map, and have molle on the outside for attaching their proprietary Device Pouch (if you want to have your phone, phablet or GPS handy). 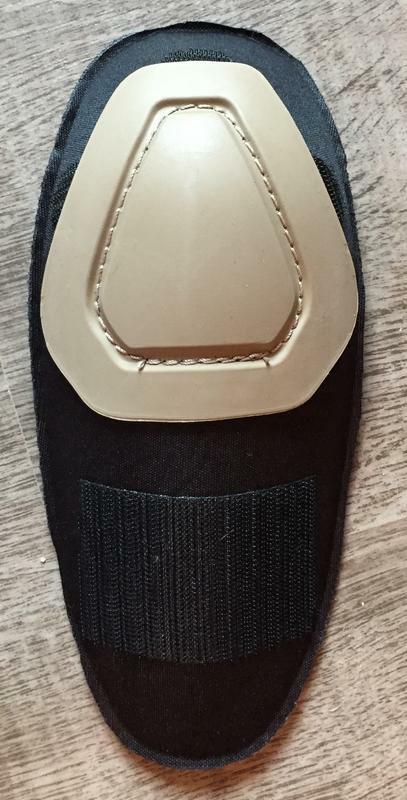 Crye G3 uses internal pockets for their proprietary G3 Airflex Elbow Pads (lacking the external rubbery protection of the G2 pads. 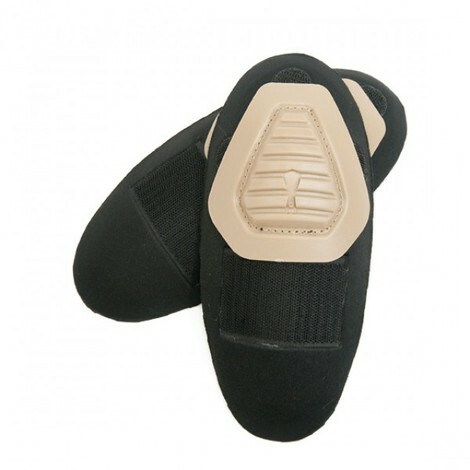 They offer moderate shock protection, but I find them too stiff to wear comfortably, so I mostly don’t (picture is stock, have them lying around but can’t find them at the moment). 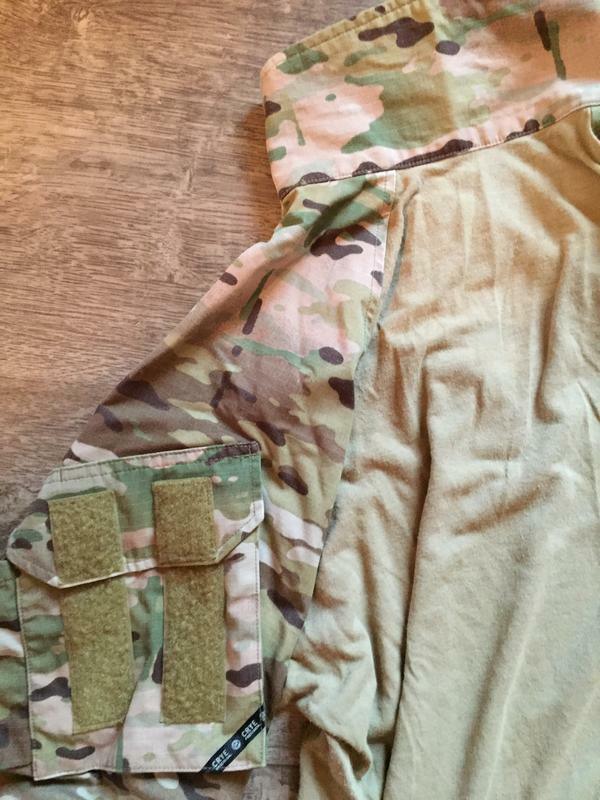 Crye AC has external pockets, making use of the older G2 elbow pads. Better protection, but again even stiffer, so I skip them as well. ClawGear has also internal elbow pads, but the access is very small, and you have to turn the sleeve inside out to get to it. 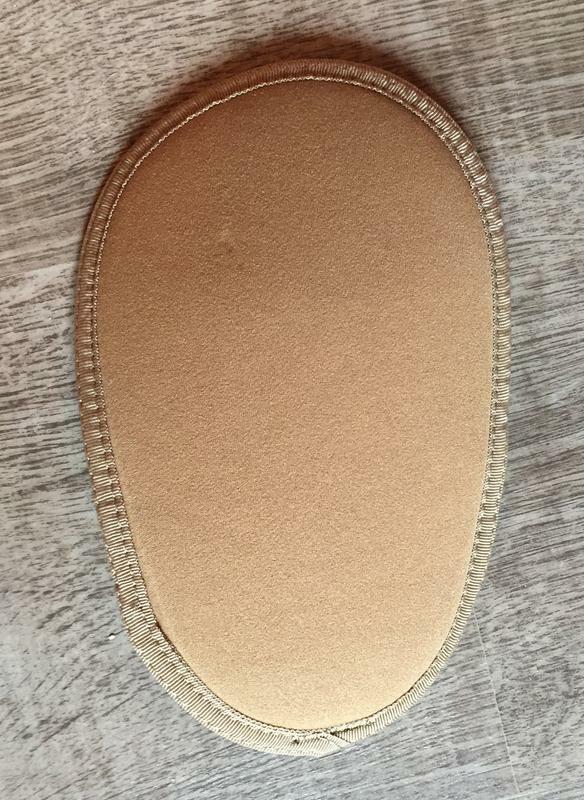 It uses their proprietary soft pads, which (again) I find quite uncomfortable to wear. 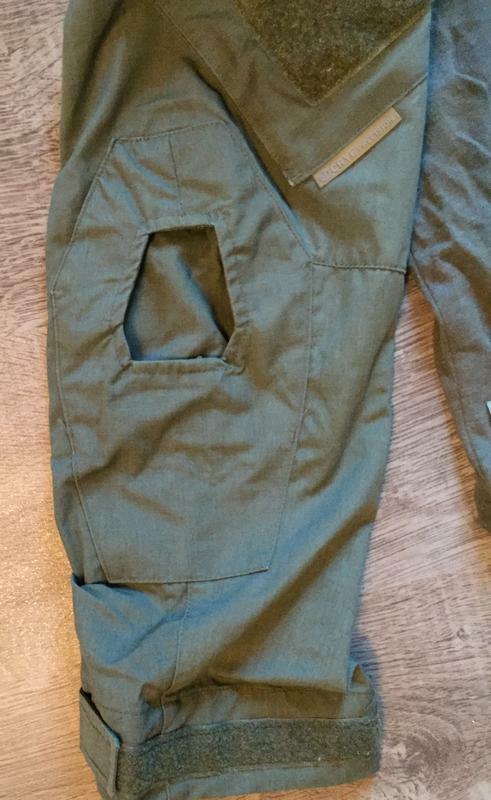 Platatac uses external pockets similar to Crye G2 or AC, and the same G2 airflex pads fit. You can also fit the Platatac ones, which are made of a tougher plastic, offering even certain puncturing protection, but which are even more uncomfortable (picture is a stock one, I have them lying around but can’t find them at the moment). So it’s a skip for me as well. All shirts are in Large Regular or the equivalent European size. They fit as expected, with a few small differences which I will try to mention. 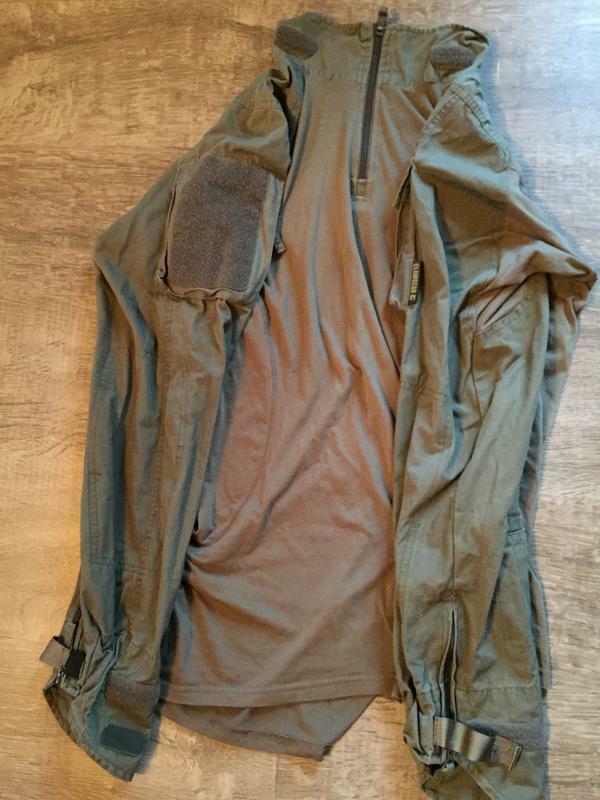 Crye G3: very light, breathable, ideal for summer / hot environments. Easy to roll up sleeves for added comfort. Cuff adjustment via velcro bands. On the minus side, no padding whatsoever. Fits a bit loose, due to the t-shirt like material on the torso. Crye AC: Same with its twin sister above. No real difference in fit and comfort. 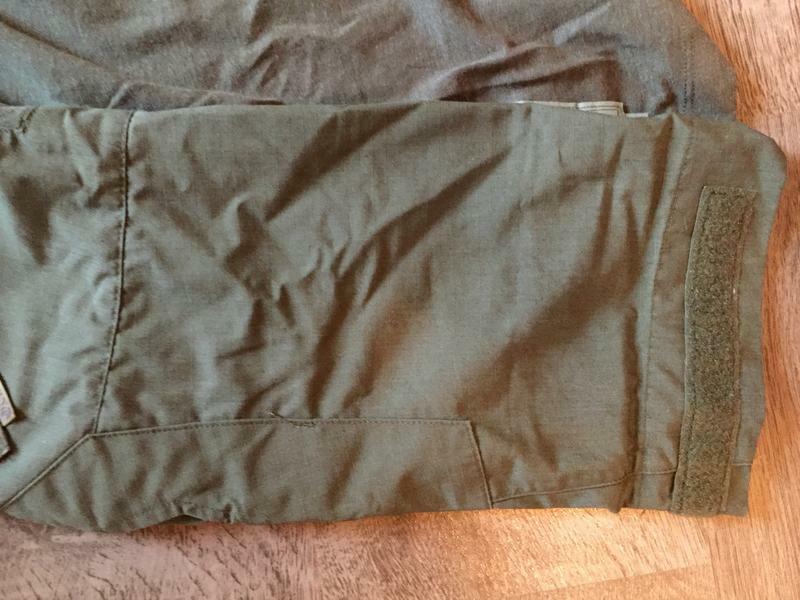 ClawGear MkIII: a bit thicker than Crye, still very good for summer. 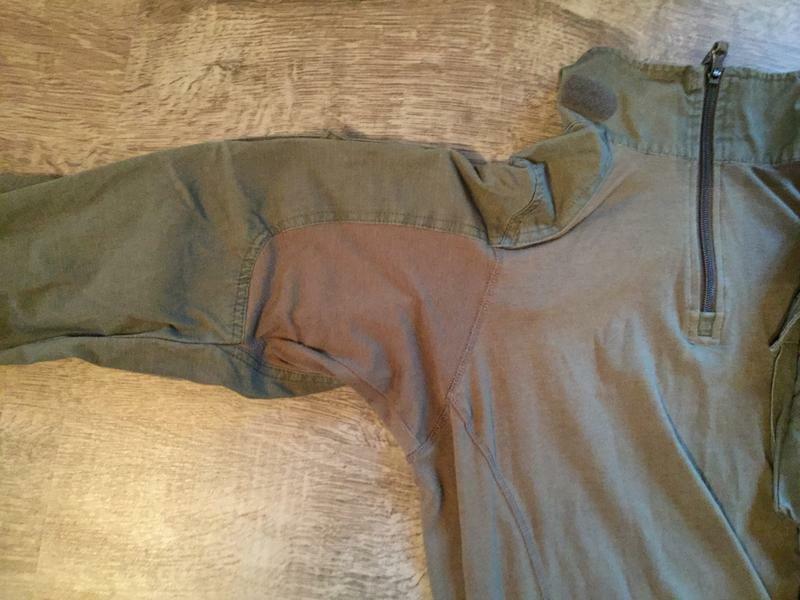 No shoulder padding, but the inner side of the elbow pocket has a soft, fleece-like material which feels nice against the skin. A bit harder and less comfy to roll up sleeves due to the plethora of adjustments on the cuff (velcro tabs, protective flap, zipper, elastic adjustment band with velcro etc). 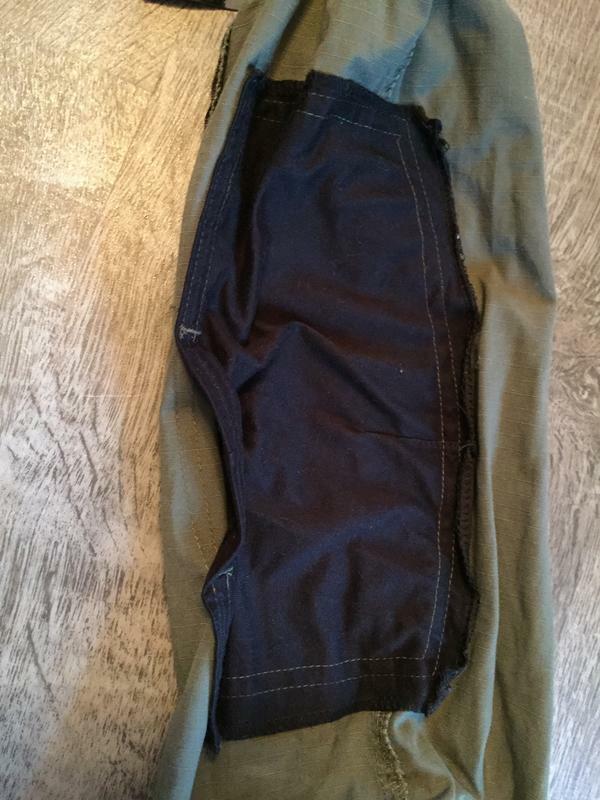 Also fits a bit loose (but it can be stretchy if you take a size smaller). Platatac CUTS: thicker material on the torso, I find it more suitable for the autumn weather. Cuff adjustment done through a Velcro band. 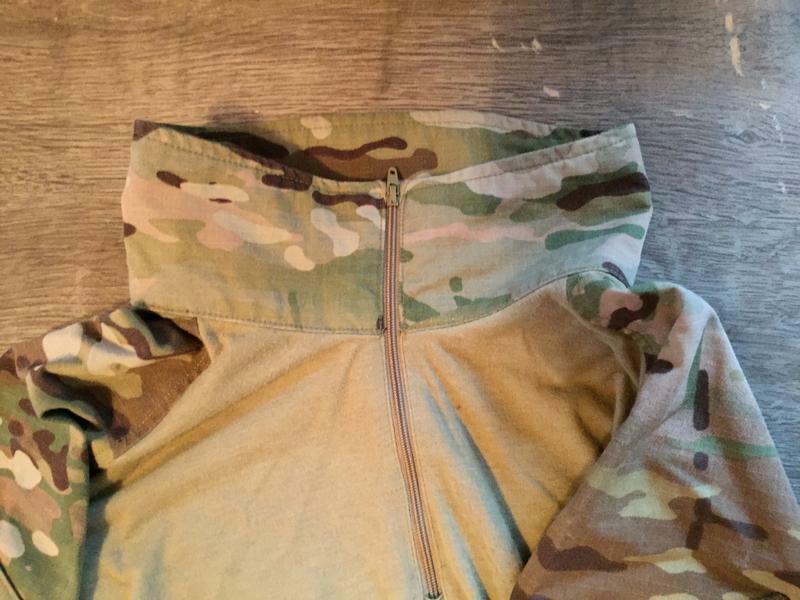 Fits tighter due to the stretchy torso material (reminds me of Crye G2 more). 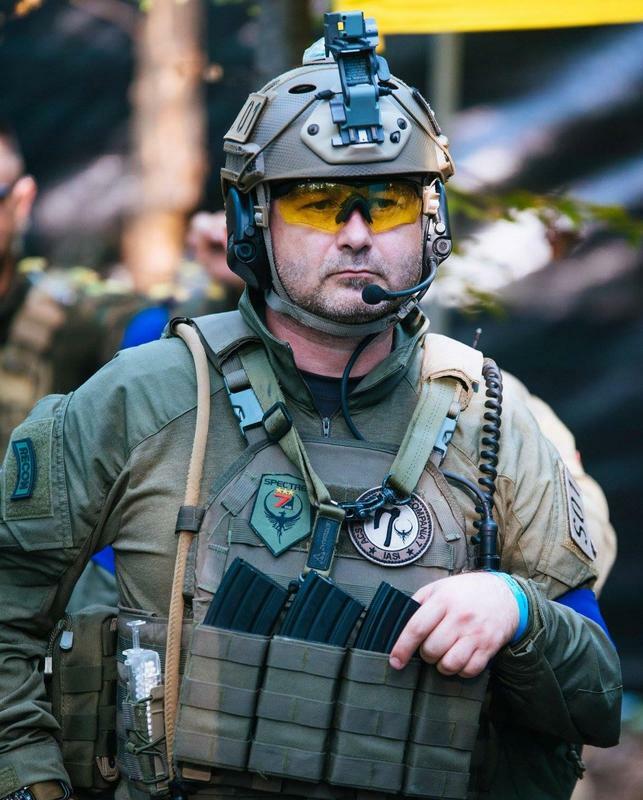 The shoulder padding is absolutely great for wearing a plate carrier over extended periods of time, making it one of my favorites for long games. 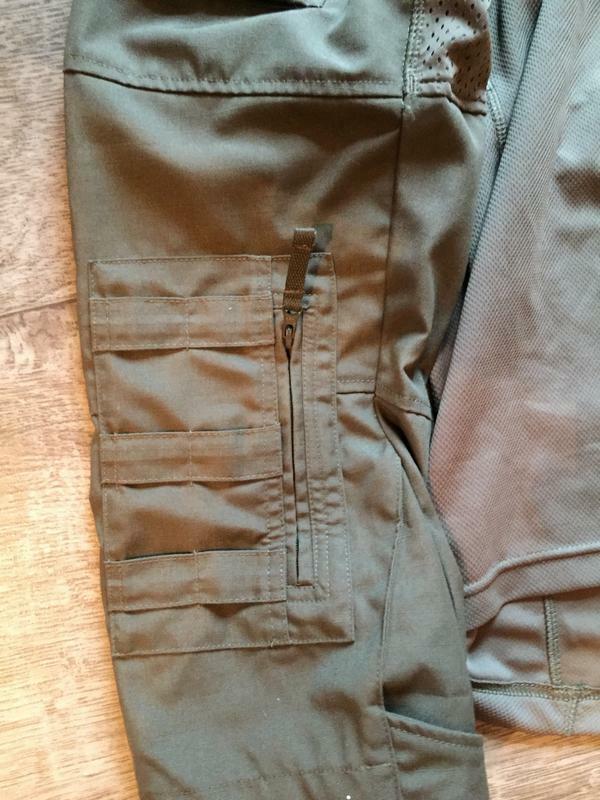 UF Pro Striker Mk2: probably the thickest torso material, it wicks moisture quite well but still not as breathable or comfy as the rest in hot weather. Which is a bit funny, considering it also has some vents behind the bicep pockets, as well as the mesh + merino combo in the armpits area. Should have been the ultimate combat shirt for hot weather, but apparently it’s not (and my bet is because of the 100% thick-ish polyester torso). Still ok for summer, but I think it would be more suitable for spring / autumn or evening/night time. 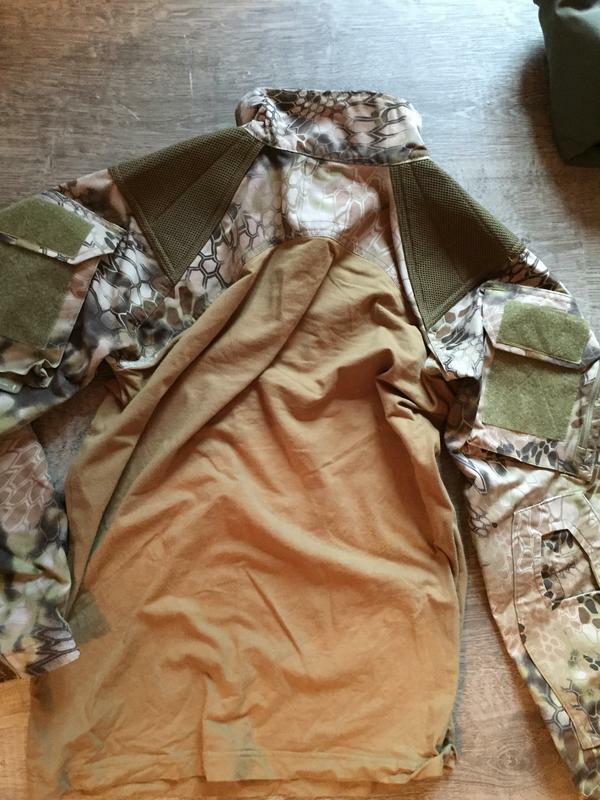 (As a side-note, UF Pro makes a winter / cold weather combat shirt, which looks really interesting). Not too easy to roll up sleeves very high (due to the forearm pockets and elbow compartments - even if empty). Shoulder padding is really nice though, and it can be even taken out (if for whatever reason you don’t like it there). Fits a bit tight, due to the stretchy torso material. 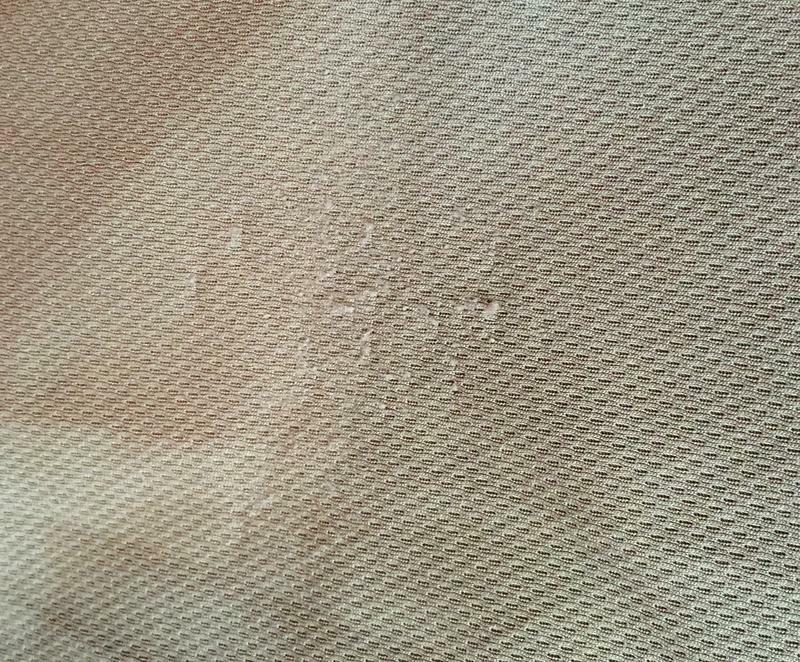 Platatac CUTS: no visible fading or damage after 2 years. General feeling is that it’s solid as hell. UF Pro: still new, so too early to talk about fading. However I was a bit disappointed to see abrasion marks on the torso material after wearing it only once (due to rubbing against the plate carrier). Also the torso material looks prone to pinching. I’m not worried that it will rip, it looks solid enough, just that I don’t think it will look as good in time. 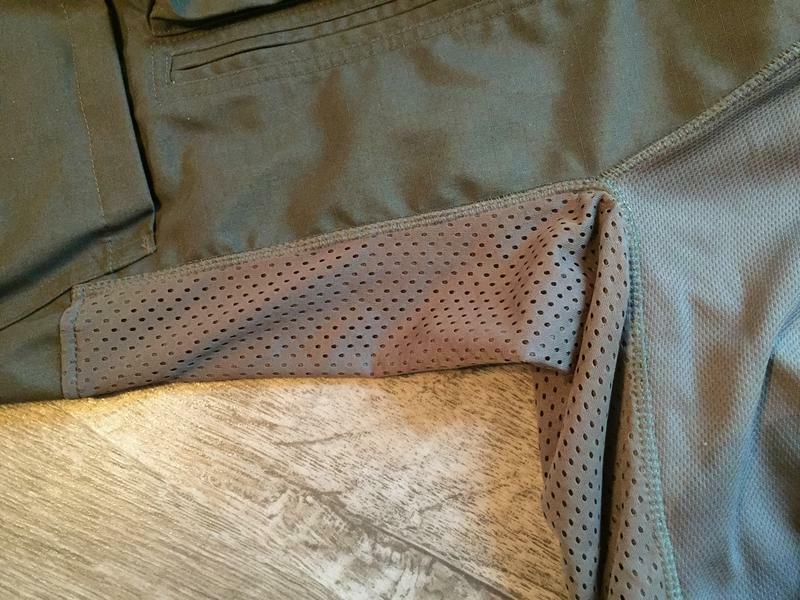 As a side note, the stretch material from the pants is different from what it’s used in the shirt, and despite looking and feeling thinner, seems to be more abrasion resistant. Guess we’ll see in time. 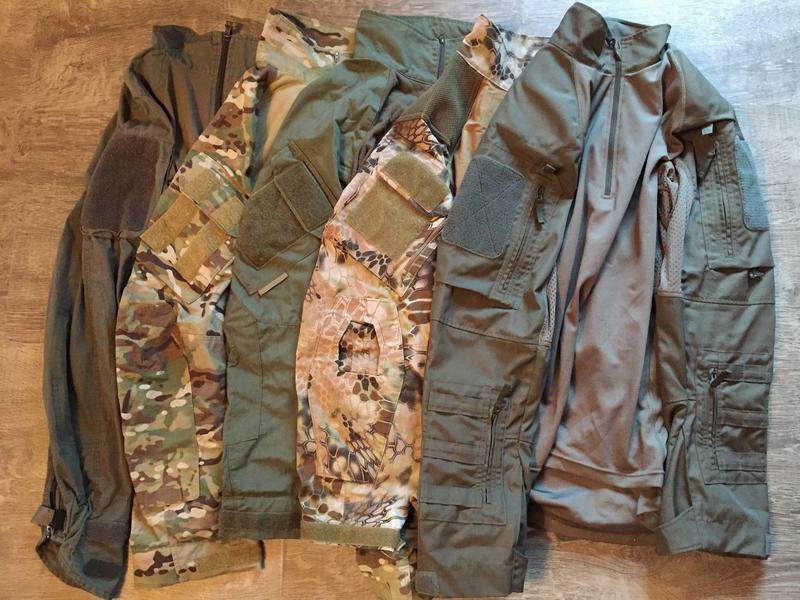 Crye is still king when it comes to pricing, especially in Europe. Price is usually north of 150€, and even up to 200€ depending of the camo or generation. The good thing is that they still can be resold used for a pretty good sum. 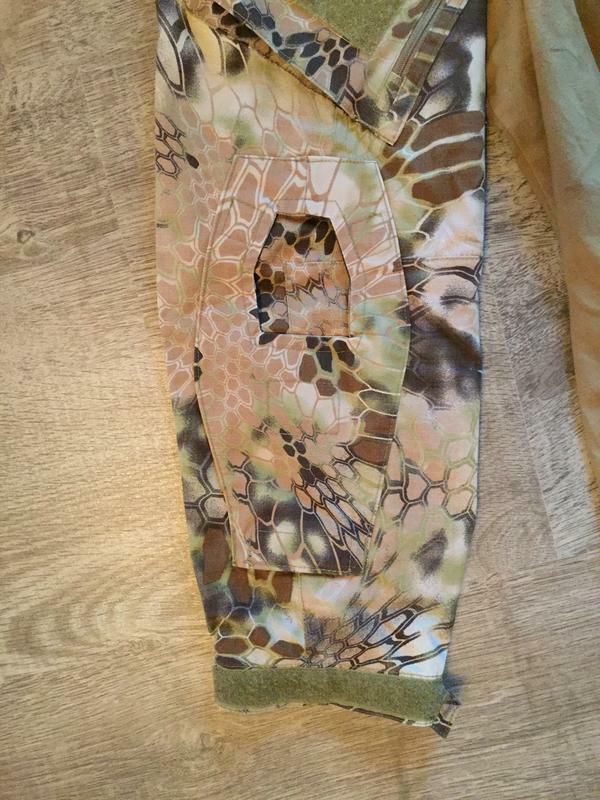 ClawGear MkIII was around 85€, but since it’s being phased out it can be either hard to find or, if lucky, had at a discount at about 70€, with Multicam versions priced a bit higher. 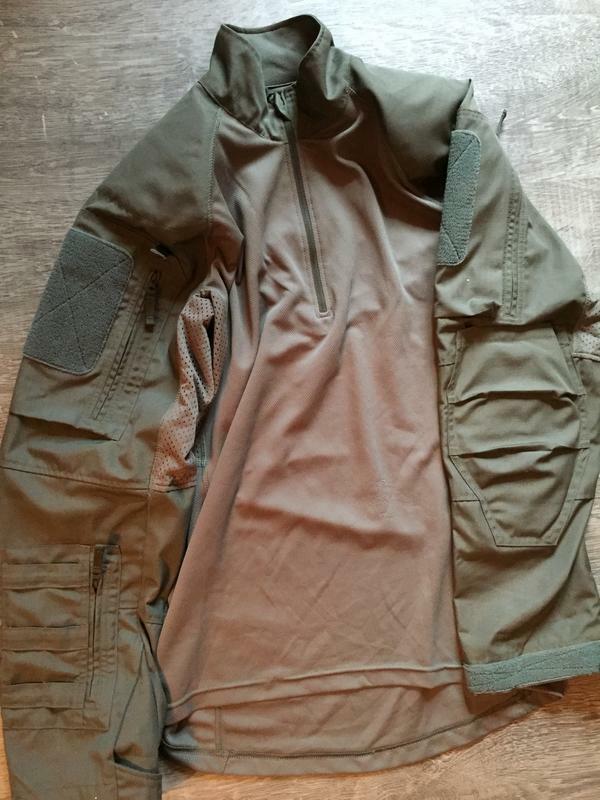 Clawgear has however a newer combat shirt, the Operator CS, which looks like a lighter and more improved design (didn’t see one up close, but will, pretty soon). Platatac CUTS can be a bit tricky to get a hold of in Europe, but can be found on the Platypus’s ebay account at a discount sometimes, for around 70€. Don’t forget to add import taxes and hefty shipping costs if you live in Europe as I do. 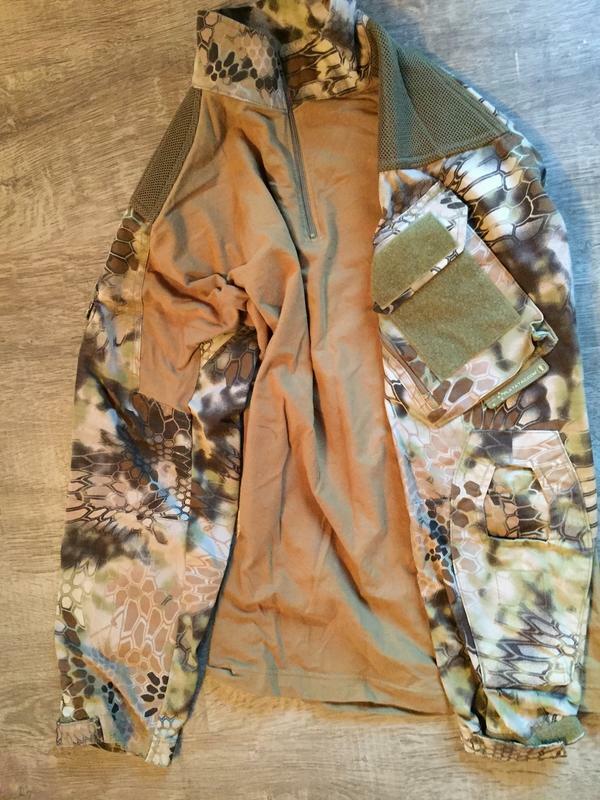 UF Pro Striker Gen2 costs 99€ (114€ for Multicam) on their website. 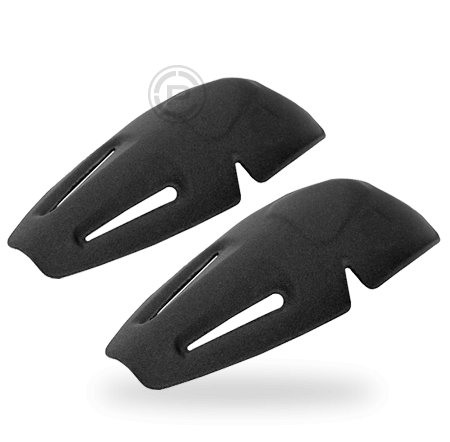 If you want the Flex Elbow pads as well, they’re priced at 24€. 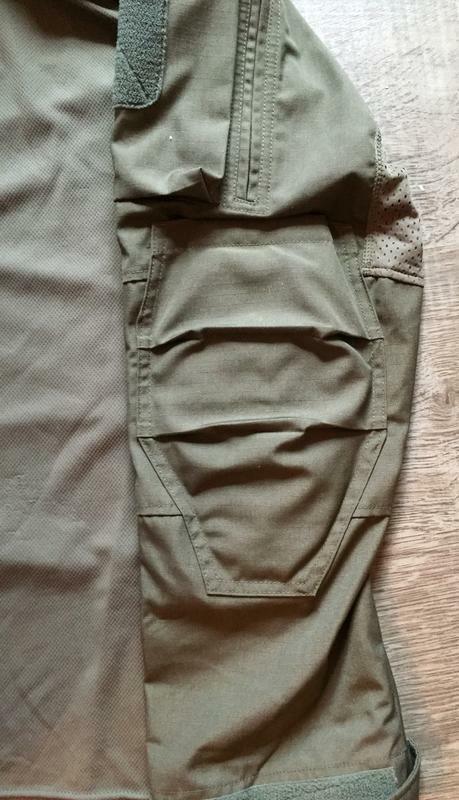 A question which I got quite often is how does ClawGear’s RAL7013 and UF Pro’s Brown Grey compare with the US Ranger Green (especially Crye’s). They definitely are of the same family and in my opinion close enough to substitute for each other. 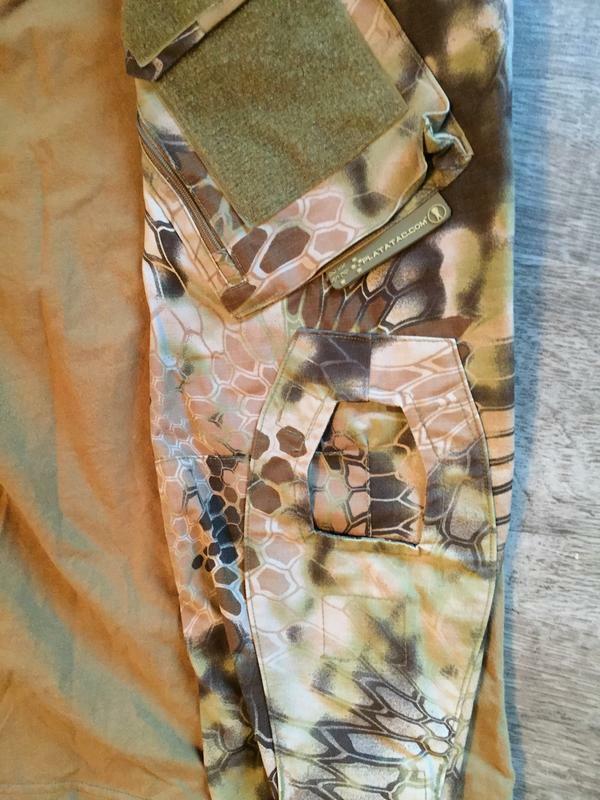 They are slightly different shades however, with the darkest being the UF Pro Brown Grey, next the ClawGear RAL7014 and the lightest color being the Crye Ranger Green. However, the same shade differences can be seen between what the various manufacturers call Ranger Green, so nothing really new here. 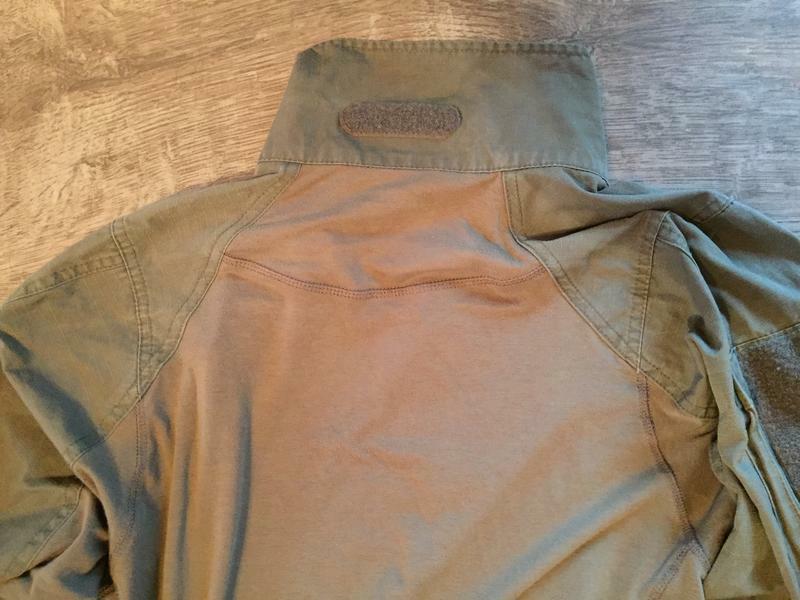 In any case, in the photo gallery at the end of this review, you can find all of them worn together with a Ranger Green LBT 6094. ClawGear MkIII: very good value for money. Very solid, still hanging tough after a few years. 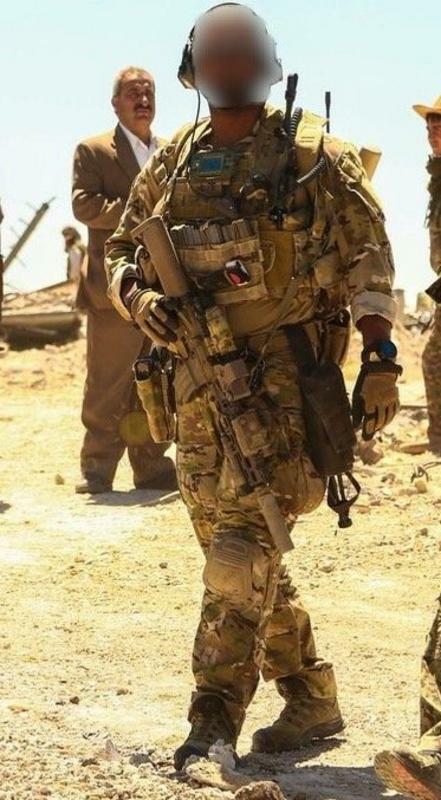 Not as light as Crye, but definitely more carefree. UF Pro Striker XT Gen2: Lots and lots of design improvements, really nicely thought out features. Comfortable shoulder pads. Seems a bit warmer than I expected though, and I can’t shake a bit of disappointment to see the torso material getting rub marks after the first wear.